If you’re visiting the North of England you’ll find history everywhere. There are so many popular places that attract tourists and travellers in droves but there are also many hidden gems. One of them is the Buffet Bar at the Stalybridge Railway Station. It is almost exactly the same as it was when it was first built – in 1885. And it’s hardly changed since those Victorian times, with its real ale, unpretentious pub food and live traditional music – oh, and the roaring log fire. 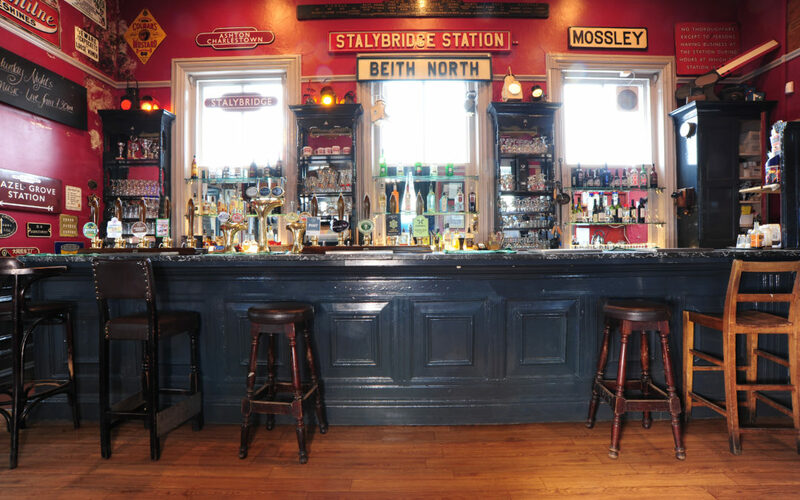 Many years ago when I was a student travelling by train from Yorkshire to Manchester, Stalybridge Bar was an essential stop to break the short journey. Today the place is practically a museum of nineteenth-century railway memorabilia and you can enjoy your traditional ale and local pies while browsing the artifacts on display. As it is one of the few remaining Victorian railway buffets, you will be enjoying an unusual experience – you will have stepped back in time. 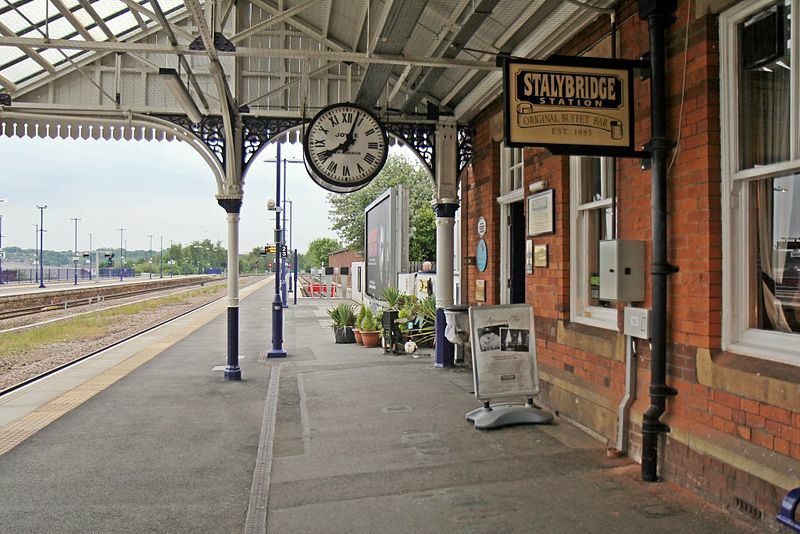 Stalybridge is well located for any traveller who is exploring the North of England and it’s easy to get to from Sheffield, Manchester and Liverpool – all areas which should not be missed. See the map below to discover its location. The bar has won many awards over the years, including those from CAMRA – the Campaign for Real Ale. You can be sure to get a great traditional pint here! Read reviews and see photographs here. Stalybridge is only a few miles from Manchester. To find out about some fabulous tours and experiences in the area, SEE THIS WEBSITE. WHERE IS STALYBRIDGE RAILWAY STATION BUFFET BAR?